SecuControl will start this year's conference / exhibition season with the DistribuTech conference in San Diego, CA, on February 3-5. Come visit us at booth #1244! To better satisfy the needs of American customers, SecuControl has developed a new Safety Test Switch ST Switch which both features characteristics of SecuControl's FTL and of the commonly used FT Switch. As for the FTL, the ST Switch likewise works with individual disconnect pins which can be inserted into the test position to separate the circuits from the system side to the device side. In contrast to the FTL, the ST Switch adopts the cabling connection in the back from the FT Switch. The front side of the ST Switch is completely fingersafe which completely precludes that the operator accidentally touches any of the live circuits. In contrast to the FTL, the ST Switch has integrated status windows which indicate whether the internal contacts are open or closed. Hence, it is totally obvious to the operator when to start testing, even if he is not yet familiar with the operating principle of the ST Switch. 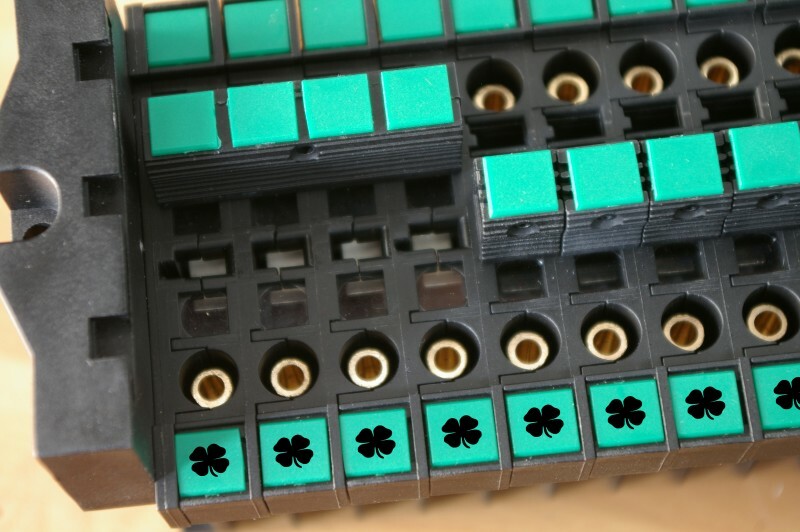 The cabling connections at the back are copied from the FT Switch and hence offer maximum convenience to most technicians and engineers. 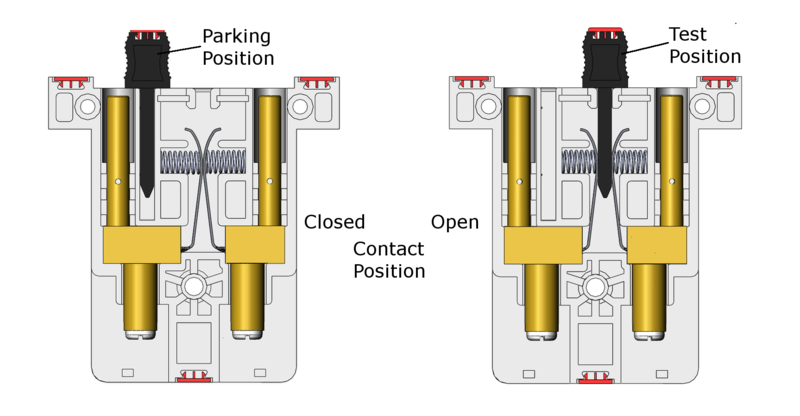 The ST Switch features integrated banana jacks which connect to all commonly available banana plugs in order to directly inject simulated values on the test switch. Our product designers created a novel bow-shaped handle which facilitates an easy plug in and plug out of all SecuControl test plugs. The overall design is both functional and ergonomical. The handle consists of a frontal axis and two lateral plates. The design is such that the user can hold it either with one or two hands around the frontal axis or with one hand around each lateral plate. The frontal axis has a corrugated shape which allows individual fingers to clasp around it and avoids the grip to slide laterally. The lateral plates are formed in a way that a hand can grasp and hold it in a natural way. Overall, the handle lessens the efforts to activate the test plug and hence contributes to a smooth testing procedure. The new handle replaces the old one with immediate effect, even though the old one will still be available as an alternative for a certain time. Secucontrol opens a new office space in Germany's capital Berlin to underline its role as a key player on the German and international market. The office is situated in Charlottenburg in the heart of Berlin. Its location is comparatively close to the airport of Tegel and serves as a home base to welcome visitors from all over the world. To start off, the office is small-scale and only few people work from there. However, it is intended to take over more tasks in the near future and then become more important for Secucontrol.